Special arrangements can be made to visit part of the VI Coral Reef Monument in Hurricane Hole. Come on over to the quiet side of St. John and see Coral Bay! For hundreds of years, Hurricane Hole (just outside of Coral Harbor) has been a safe haven for boats to seek shelter from bad storms. As a Coral Reef National Monument, the mangroves of Hurricane Hole also act as a very important underwater sanctuary for a remarkable variety of fish species, coral communities, anemones and sea grass beds. Essentially, the mangroves are the ocean’s nursery! You will find all types of juvenile fish, Spiny Lobsters, Queen Conchs and baby barracudas hidden among the mangroves’ intricate root system. Snorkeling here is unlike any other reefs found along the shorelines of St. John! 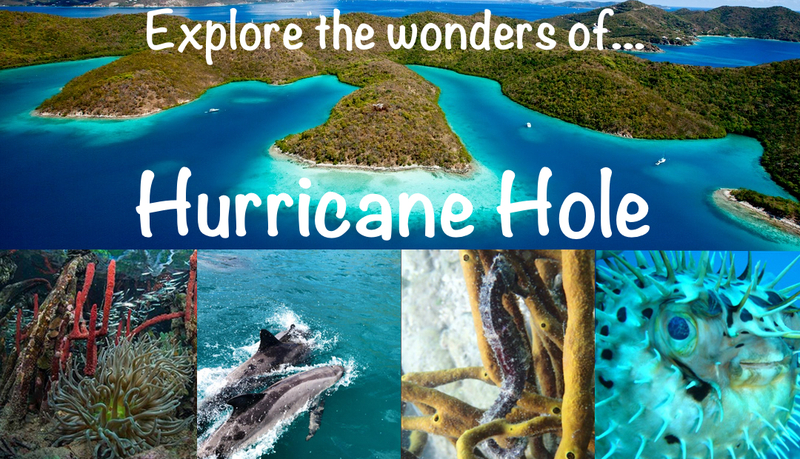 Join Island Roots Charters, ONE of SIX tour operators with PERMITTED access into Hurricane Hole, for a wonderful day of sightseeing and snorkeling through the least disturbed mangroves in all the U.S. Virgin Islands. One of six tour operators with permitted access to take you to Hurricane Hole!